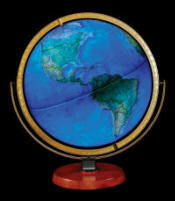 The Nicollet is a large illuminated 16" desktop globe that features the latest National Geographic maps. 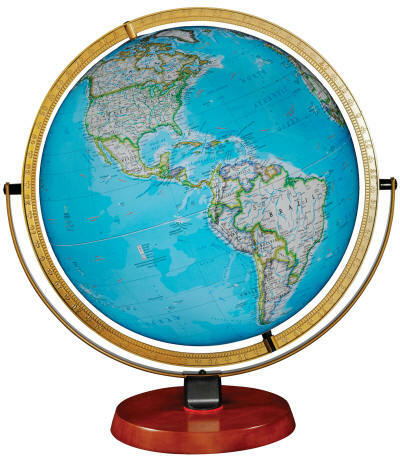 The globe is traditionally styled with a teak hardwood base with steel yoke and die-cast calibrated meridian. Over four thousand place names include continents, countries, capitals, then the biggest and most important cities in that country or state, bodies of water and more. Features raised relief cartography, to better emphasize the mountainous areas of the world. Time dial is located at the North Pole.